November 13, 2014 – Teachers in Space, Inc is offering one person the opportunity to join them in April 2015 for a twenty parabola Zero-G flight. The winner of a new contest will travel to Florida to help Teachers in Space and Final Frontier Design test a new multi-purpose commercial spacesuit during a Microgravity Research Week event near Kennedy Space Center. 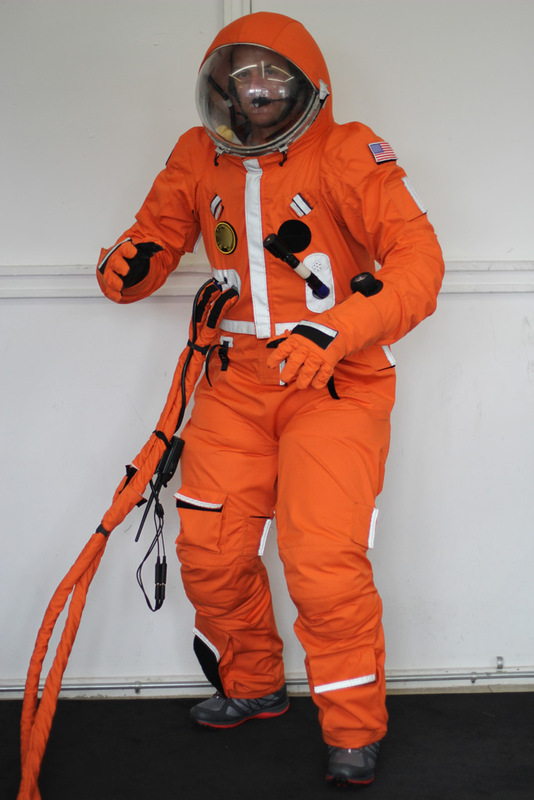 Final Frontier Design’s spacesuit will be the first suit used for the growing commercial spaceflight market. The 3G spacesuit has a pressure garment, fire proof garment, anti-g pants, and a biosensor system. Teachers in Space, Inc. is an educational non-profit organization, which stimulates student interest in science, technology, engineering and mathematics (STEM) by providing teachers with extraordinary space science experiments, personal and experimental flight opportunities, hands-on work with data sensors and remote device control, and industry connections. To participate in the contest, applicants must write an essay on “Why Space and Science Education Matter,” as well as answer some questions about their physical fitness and personal commitment to space exploration and education. The winner will be chosen by a panel of highly qualified judges selected from the space industry and academia, including NASA Deputy Director of Technology Jim Adams, Embry-Riddle Aeronautical University’s Dr. Jason Kring, New York University’s Dr. Ed Vessel, and City University of New York’s Dr. Ari Maller. Ten finalists will have their essays featured on the TIS website. The winner will receive up to $500 travel reimbursement and will join the test team on the 20-parabola research profile Zero-G flight.